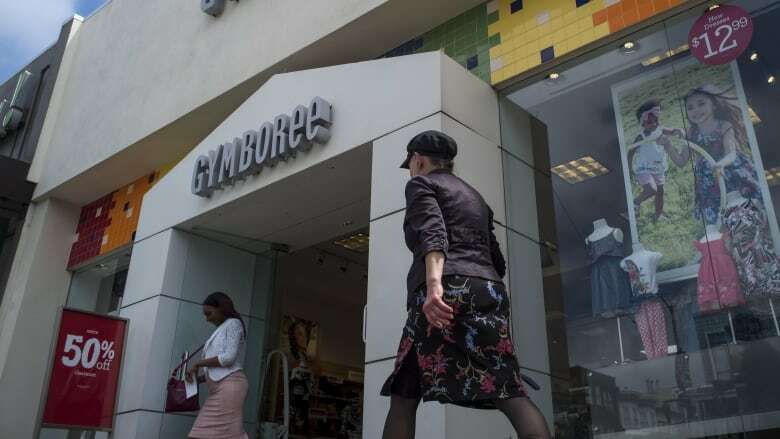 Gymboree has filed for bankruptcy protection for a second time in as many years, but this time the children's clothing retailer will begin winding down operations for good. The San Francisco company said late Wednesday that it will close all of its Gymboree and Crazy 8 stores and attempt to sell its Janie and Jack business, intellectual property and online business. "The company has worked diligently in recent months to explore options for Gymboree Group and its brands, and we are saddened and highly disappointed that we must move ahead with a wind-down of the Gymboree and Crazy 8 businesses," CEO Shaz Kahng said in a statement. Gymboree, which began offering classes for mothers and their children in 1976, runs 380 Gymboree stores in North America, of which 49 are in Canada. When it first sought Chapter 11 bankruptcy protection in June 2017, it had more than three times that many stores. If officials approve the process, all remaining stores will be closed. The company has suffered in the post-recession years like most mall-based retail stores. Steep declines in mall traffic and the shift online have devastated many traditional retailers. This week, 132-year-old department-store chain Sears averted liquidation when billionaire Eddie Lampert won tentative approval for a $5-billion plan to keep it in business. The holidays, the most important time of the year in retail, was not nearly as robust as most had expected it to be. Macy's suffered its worst-ever day of trading after putting up lacklustre holiday numbers, and Kohl's reported a dramatic slowdown from a year ago. Macy's is considered a barometer of spending in malls. Before the opening bell Thursday, retailers were among the worst performers on the S&P 500. Gymboree was bought by the private equity firm Bain Capital for $1.8 billion in 2010 and taken private.